2nd Year Anniversary Party and Sale! Isn’t it so exciting? Harmony is turning TWO and we want to celebrate! Tags: anniversary, fashion show, sale, yarn | Permalink. We’ve extended our Sock Contest deadline to Wednesday September 17th! Bring in your sock submissions for a chance to win a $100 or $50 gift certificate! We can’t wait to see what you’ve made! 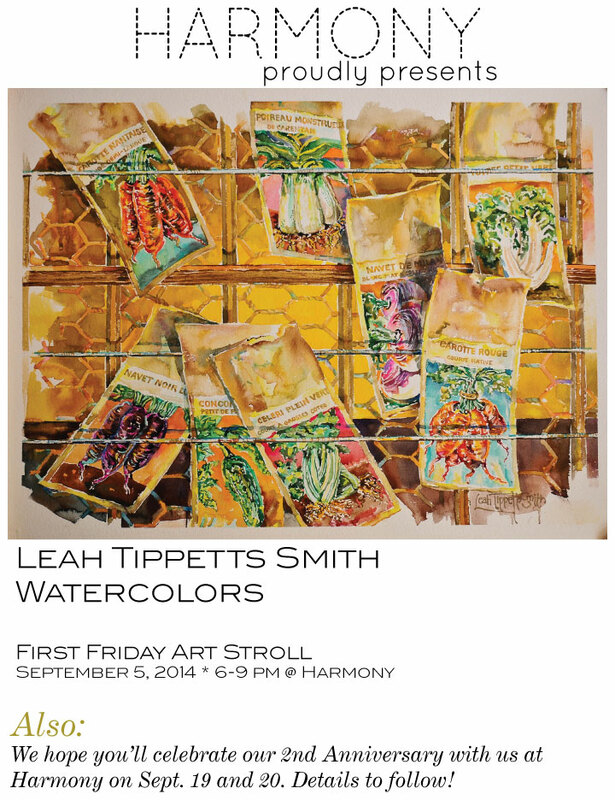 We’re joining Provo City’s First Friday Art Stroll with the imaginative and colorful work of Leah Tippetts Smith! Many of Leah’s pieces already hang in our shop and we’re excited to showcase more of her work. Come see Leah’s work Friday night from 6-9 pm. And stay tuned for details about our 2nd Anniversary Celebration! Remember: Knit Night Thursday Night 8-9:30 pm! Children’s Sewing—This is a great class for kids who want to learn to sew (beginners and beyond!) Projects may include: pillowcase, pajama pants, backpack, apron and more. New lower price! Beginning Calligraphy—This class is for beginners who want to learn traditional calligraphic alphabets. Four classes in the series build on each other; each class has three sessions offered Wednesdays 6:30-8:30 p.m. Fee includes project papers, envelopes, patterns, and handouts. Students will be contacted by email regarding other materials; kits will be available for purchase, if desired. Easy Embroidery—These three classes teach the basics of embroidery. Samples of each project on display at Harmony. 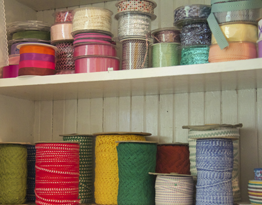 Bring an embroidery hoop, scissors, and thimble (optional). 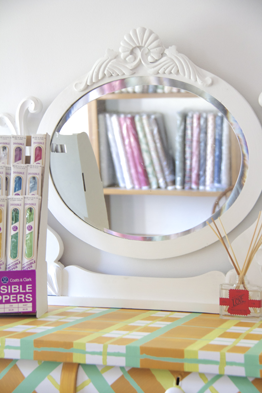 A $5 kit including floss and prepared fabric is included in the price! Knitting 101—Keep your fingers nimble and your mind sharp with knitting! Learn the basics that will be the basis of all future projects. 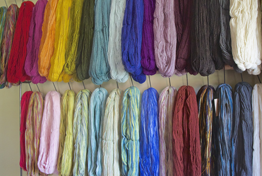 Materials needed: one skein of yarn and a pair of size 8-10 knitting needles. Supplies available at Harmony for 20% off. Fri. Sept. 26, 4-6 p.m.
Fri. Oct. 17, 4-6 p.m.
Fri. Nov. 7, 4-6 p.m.
Fri. Nov. 28, 4-6 p.m.
French Macarons—Come and learn how to make French macarons from our dear friend Florine, a pastry expert from France! Sat. Sept. 27, 11 a.m.-12:30 p.m. Duck Duck Goose—Knit an adorable tiny duck or goose! Bring scraps of yarn in desired colors and size 4 or 5 knitting needles. Teacher will provide tapestry needles, stuffing, scissors, and worksheet. Wed. Oct. 8, 3:30-5:30 p.m.
Knit Your First Sweater—Come learn to knit a basic child’s sweater—“Pipkin” pattern provided, sample on display at Harmony. Supplies: Rowan Pure Wool Worsted (or other worsted weight yarn) Main Color: 2-3 balls; Contrast: 1 ball; scrap for cuffs. Size 7 knitting needles. Fri. Oct. 10 & Oct. 24, 3:30-5 p.m.
Winter Daisy Wool Felt Pin Cushion— This unique pincushion is a combination of everything pretty. The coziness of wool felt, the beautiful flower print showing through the window, cute buttons and lovely trims around it! This mostly hand-sewn pincushion is very fun to make and it will be a perfect holiday gift for your girlfriends. A $10 kit with all materials as well as the pattern are included in the fee. Bring small scissors. Sat. Oct. 11, 1-3 p.m.
Beginning Crochet—Learn the basics of crochet while making a lovely flower pin. Basic stitches such as chain, slip stitch, single crochet, half-double crochet and double crochet will be taught. Bring one skein worsted weight yarn in desired flower color, and 1 size H/8 5.0mm crochet hook. Each participant will receive a muslin drawstring bag and course folder with illustrated instructions. Green yarn will be provided for the leaves, if desired. Sat. Oct. 11, 3-5 p.m. Sat. Nov. 15, 3-5 p.m. Cooking with Jane: “Genius” Recipes!—There are some “genius” recipes that reinvent the tried and true into sublime and unforgettable creations. In this pre-Halloween cooking class we will make a baked pasta dish that goes from prep to table in 20 minutes flat, a wondrous pulled pork with peach jam barbecue sauce, honey-baked popcorn made without corn syrup, and brownie brittle, an amazing chocolate treat of crispy edges and chewy center. Sat. Oct. 25, 11 a.m. Sat. Oct. 25, 1-4 p.m.
Quilting 101: Learn How to Quilt a Mini Quilt—Come learn all the steps to make patchwork quilts and finish in one session! Bring tools (scissors, thread, and rotary cutter/mat if available). 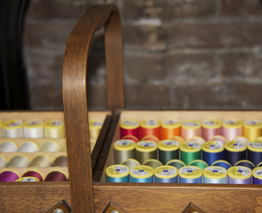 Sewing machines are provided; bring yours if you prefer. 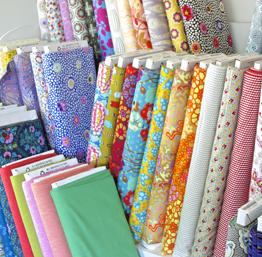 Class registration closes Oct. 25; Holly will supply all fabric and will email fabric choices to students before the class begins. Must have some sewing experience. Sat. Nov. 1, 1-5 p.m.
Angel Baby—Sew a small Waldorf-style Angel Baby doll in this two-session class; a great Christmas or baby gift. All materials provided in a complete kit included in the cost of this class! Come see this sweet little doll at Harmony. Wed. Nov. 5 & 12, 4-5:30 p.m.
Quilting 102 : Red Letter Day Mini Quilt—In this one-session class we will be making the mini quilt, “Red Letter Day”, by designer Camille Roskelley. Required materials include fabric, scissors, rotary cutter & mat, thread. Class registration closes Nov. 1; teacher will email fabric requirements before the class begins. Quilt pattern is included in the price of the class. Sat. Nov. 8, 1-5 p.m.